Sheaffer Targa 1026XS slim fountain pen from the 1980s, made in Australia. Cartridge/converter filler in the sterling silver barleycorn finish with gold plated trim. 14k gold nibs in various sizes. New old stock condition, Kaweco Sport squeeze converter. Type Cartridge/converter filling slim fountain pen, working well. Product Name Targa 1026XS. The "S" indicates the slim model, and the "X" signifies a model with gold trim. 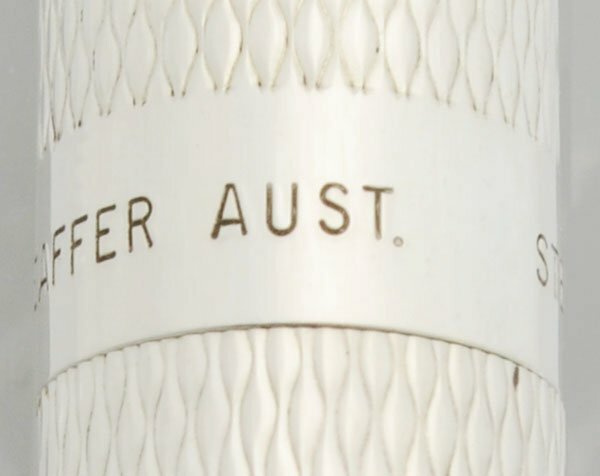 Manufacturer and Year Sheaffer, cap and barrel made in Australia, nib was made in the USA. This model was introduced in 1982. Filling System It takes Sheaffer Slim style cartridges, or you can use the included Kaweco Sport squeeze converter to fill it from bottled ink. Color Sterling silver barleycorn pattern with gold plated trim. and a white dot on the clip. 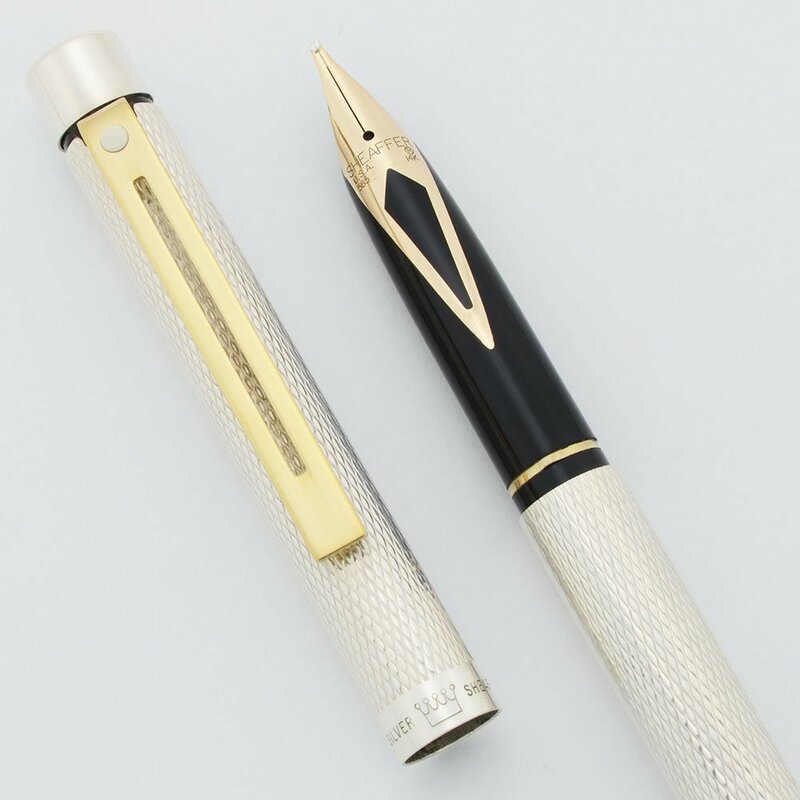 Nib Sheaffer's 14k gold diamond inlaid Targa nib -- various nib widths, select from the pull down menu. Condition New old stock and in excellent condition. No cracks or chips, dings, dents, personalization, or plating wear. There's some light scratches on the section, and a few very light marks picked up in storage. The pen is fully guaranteed.